This is my site for my writing for children and young people. If you want my site/blog for adults, check out www.alisonacheson.com. If you’re not sure whether you are a young person or an adult, check out both sites, and toss one, or read both. 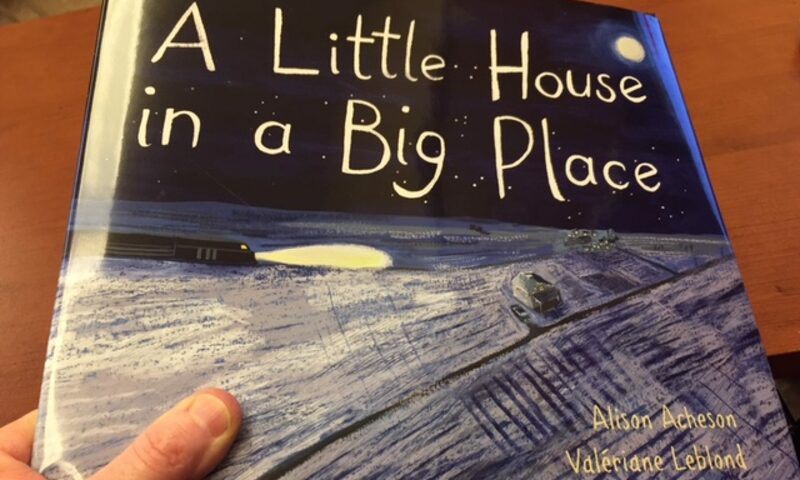 In Spring 2019, Kids Can Press will release my picturebook titled A Little House in a Big Place. It is being illustrated by Valeriane Leblond. I am excited about this work! And can’t wait… Valeriane’s work is amazing. The kind of art that you can look at, and get lost in, wondering what’s around the corners, and what the flowers smell like, and are the birds in the air going to re-form into some other beautiful shape… I feel blessed to be able to work with the people I have with this project. Destination: QUEBEC. I’m thrilled! My Grandpère’s home-province!